VSCM compression-shear cup/engine mounts provide excellent protection against vibration and shock. Due to each mount's ability to isolate vertical and horizontal forces, they are used in a wide variety of industrial applications. In vibration isolation of industrial machinery, centrifuges, blowers, transformers, combustion engines, motors, marine and industrial diesel generator sets, pumps, HVAC, factory production equipment, and where anchoring is required. 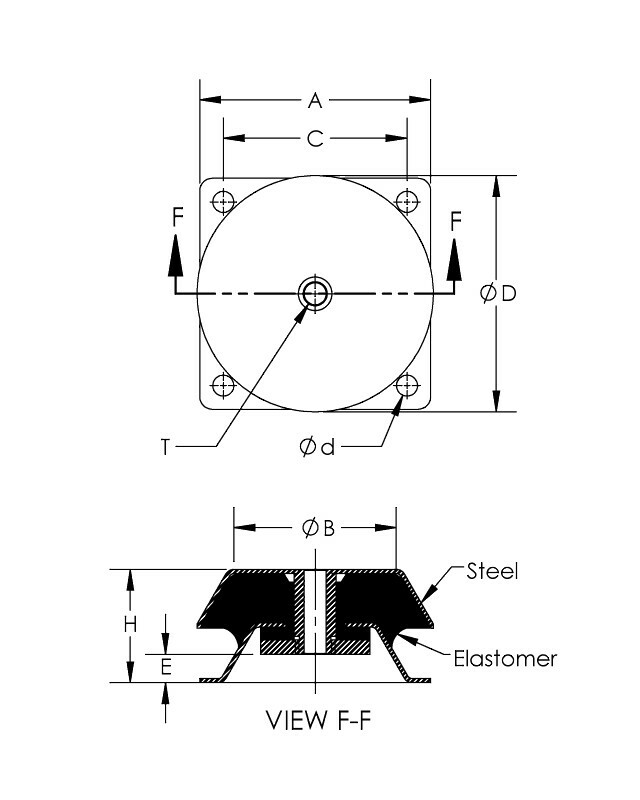 Excellent vibration damping characteristics under vertical compression and shear loads. 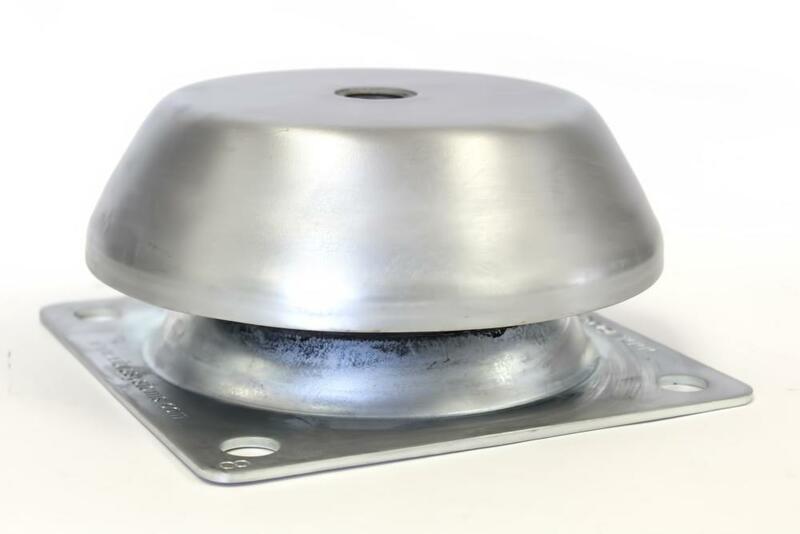 Cup-shaped top plate protects elastomer from oils, industrial solvents, and chemicals. 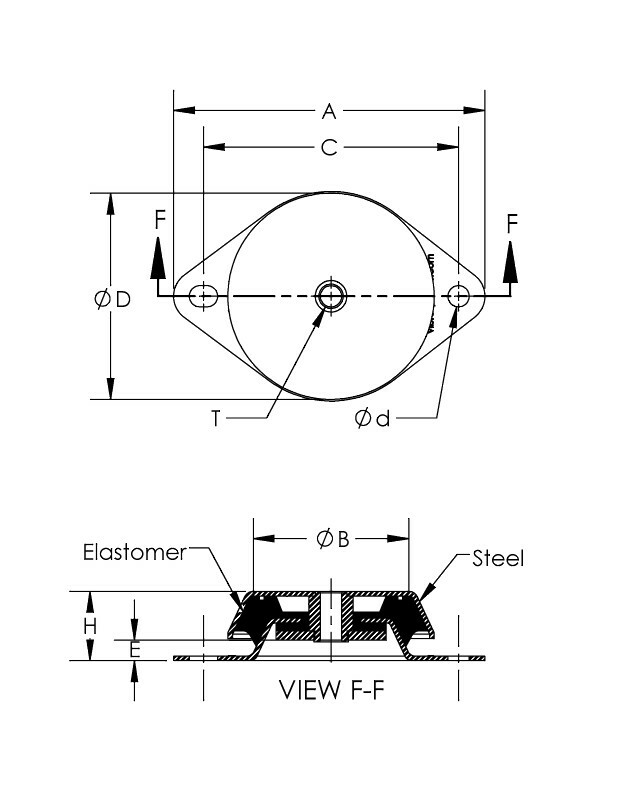 Allows mild vertical tensile forces. Note: Shear load should not exceed 30% of Compression load. 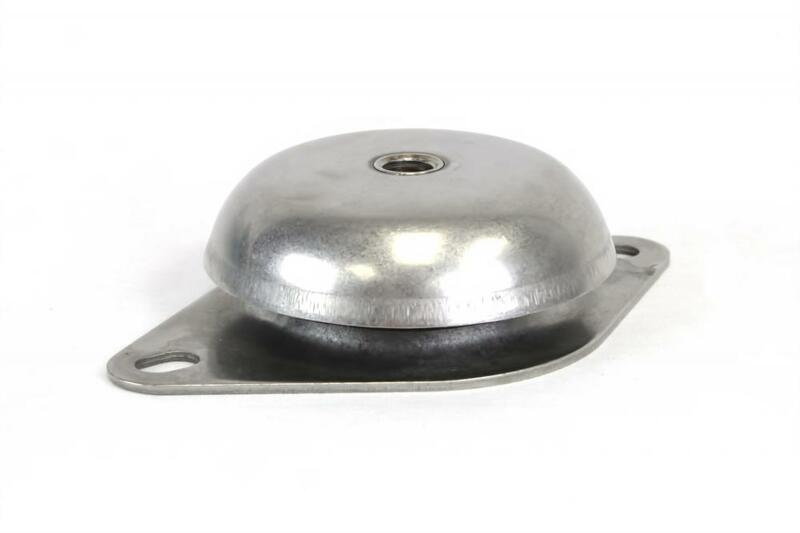 • For marine, offshore, and other corrosive environments, mounts are made of 316 L stainless steel and EPDM rubber compound.